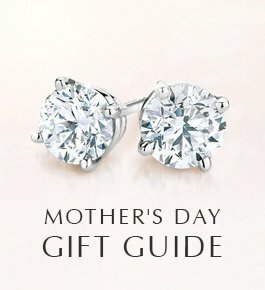 Diamonds vs. Sapphires: Which Are More Ethical? Wedding rings have represented the ultimate commitment between two people for thousands of years. Here’s a timeline of how these little symbols of love have evolved from ancient times until today. Prehistoric times: Although most people trace the origin of wedding rings to the Egyptians (see below), there is evidence that cavemen (and women) exchanged rings made of plant materials. It appears that Neanderthals tied “rings” made of twigs and reeds around their fingers to symbolize their commitments. Ancient Egypt: As early as 3000 BC Egyptians exchanged rings made of materials including woven reeds, bone, leather and ivory. Rings were placed on the third finger of the left hand (called the vena amoris, or vein of love) because they believed that a vein ran directly from that finger to the heart (something which has since been disproven). In hieroglyphics, the Egyptian alphabet, a circle represented eternity. Roman Empire: The earliest well-documented record of metal wedding rings being exchanged dates to Roman times when men gave their brides rings made of gold (if they could afford it), or of less expensive metals like iron. Medieval Europe: An exchange of rings at church weddings became customary in the middle ages. In the 1100s the Pope dictated that marriages celebrated in Catholic churches should include a ring in the ceremony, and the Greek Orthodox church began ring-based wedding ceremonies in the 1300s. 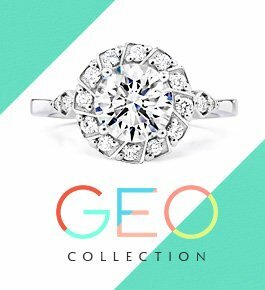 Georgian Era: Although engagement rings were relatively rare during the Georgian era (1714-1837), it was customary for the groom to place a ring on his bride’s finger during the wedding. 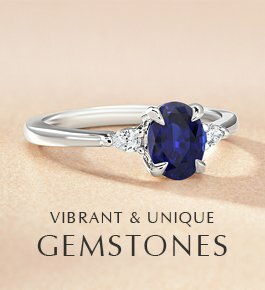 Georgian wedding bands are usually gold and feature embellishments such as scrollwork or nature-inspired designs, and occasionally rose cut diamonds, sapphires, or other colorful gems. One type of ring exchanged by Georgian era lovers, whether for weddings or engagements, was a “poesy ring,” a gold band engraved with a love note or bit of romantic verse. 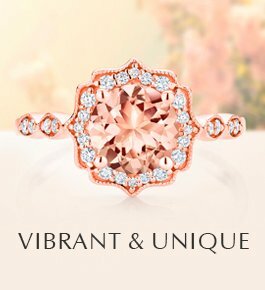 Victorian Era: During the 1800s, wedding rings in Europe and the United States became more lavish, as discoveries of gold and precious gemstones around the world made these materials more affordable. 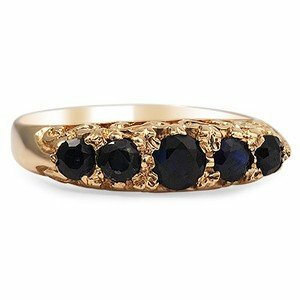 Victorian wedding rings (1837-1901) were likely to be gold and often featured colored gemstones, including sapphires, rubies, amethyst, garnet, chalcedony, and topaz, as well as pearls. The rings are sometimes embellished with filigree and delicate engraving. Although it would seem strange today, wedding rings designed to look like snakes were not uncommon during the Victorian era, because Queen Victoria’s husband Albert gave her a snake engagement ring (snakes were seen as symbols of eternity). 20th Century: In America, men didn’t usually wear wedding rings until the 1940s, when it became customary for World War II soldiers to wear a ring to remind them of their wives when they were deployed on the other side of the globe. 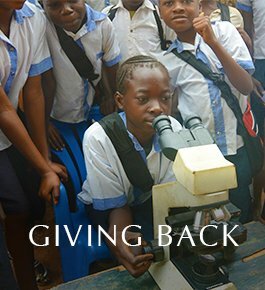 Today: Wedding rings are now commonplace in many cultures around the world, but there are significant cultural differences. One big variation is the hand on which the rings are worn. While in some countries (including the US and most English-speaking countries) it’s customary to wear the wedding ring on the left hand, in others (including many Orthodox Christian and Eastern European societies) people wear it on the right. There is also a wide variety of ring designs. In France and Russia wedding rings often consist of three interwoven bands. The American custom of wearing a wedding ring that coordinates with an engagement ring is far from universal—while it’s also common in England, many countries do not consider an engagement and wedding ring pairing to be essential. 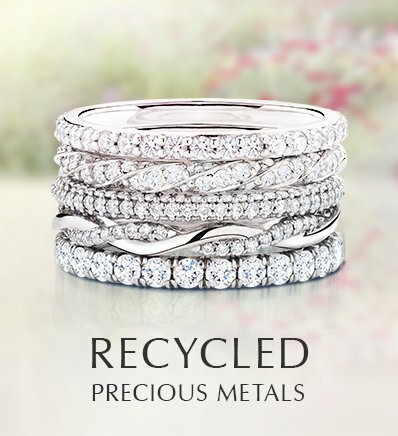 The Future: While wedding trends come and go, it’s pretty clear that wedding rings are not going anywhere! People around the world love the symbolism of wedding rings and the beauty of the rings themselves. 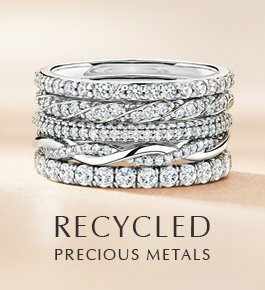 At Brilliant Earth, we see a growing number of couples wanting to design unique custom wedding rings, while at the same time many stick with classic, plain wedding bands, look for a unique vintage wedding band, or choose glamorous wedding bands featuring diamonds and other precious gemstones. 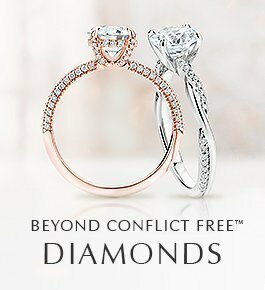 Wedding rings are one area of design in which trends hold little sway—just follow your hearts to the rings that you think perfectly represent your union! 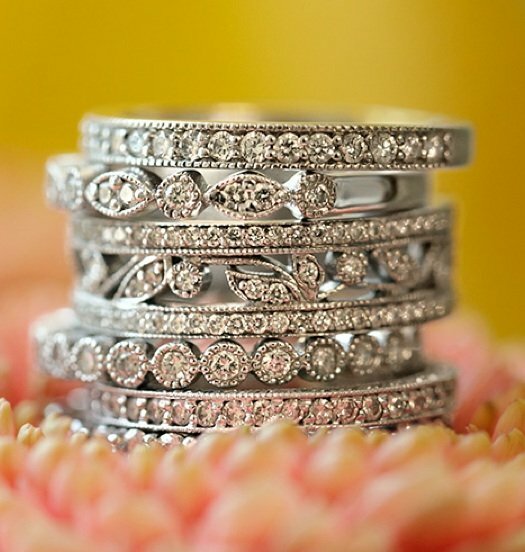 What’s your favorite wedding ring style? Let us know on Facebook or Twitter, or in the comments section!